Moya Shimmer is made from Natural Fibres and hand-dyed – 50% cotton and 50% bamboo mix. The bamboo viscose produces shiny glints of colour while the cotton gives a softer under tone. The combination of the two produces a soft and very beautiful drape. 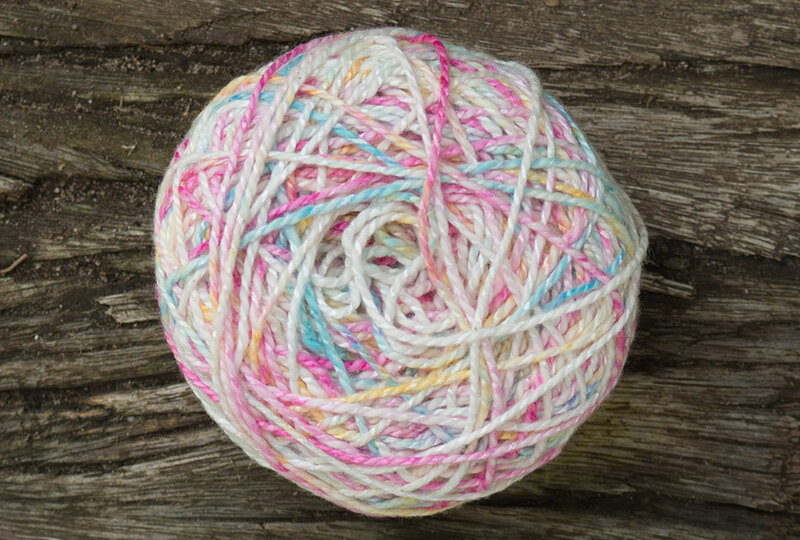 Sport Weight (4PLY) – perfect for a range of projects. Each 50g (~1.76oz) ball contains approximately 125m (~127 yards). Each ball is made with care and love by hand – this means that every ball is unique. Every effort is made to standardise dye colours and quantities within dye lots however, hand dying creates an incredible marble like effect. Each ball can differ from the next subtly and this creates a natural flow of colour that opaque industrial dying cannot match. To even out knitting/crocheting for large projects, it is recommended that balls are alternated every few rows to achieve a more uniform effect. Colours and pictures may vary due to lighting, monitor settings, compression and graphics resolutions. Lovingly hand dyed, air dried and balled all here in Cape Town, South Africa. The effect of these beautifully dyed colours will bring your projects to life.